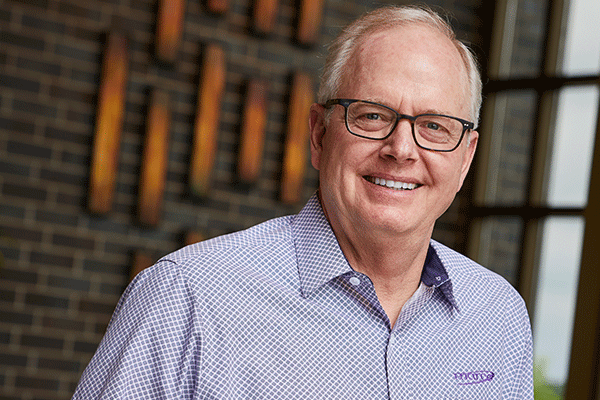 Last April, I wrote about a Leader Worth Following who retired after a long and successful sales career at Marco. Less than a month after retirement, Kevin Schwantz began a battle with cancer. In January, he shared that his time on earth would be limited. Last week, we paid tribute to Kevin – at his funeral. It impacted many of our Marco team members that had the pleasure to work with Kevin over his 27 years with our company. Most of us live each day like we have years ahead of us – at almost any age. Yet, tomorrow is not promised to any of us. Consider this: How would you live differently knowing that? What passions or interests would you explore? How would you act at work? At home, in your neighborhood, in your community? We can talk a lot about work-life balance in the business world, but productively living that out each week takes intention. Kevin was a clear example of that here at Marco. He put his wife of 33 years, Laura, kids and grandkids first. He was active in his community as a board member for nonprofit organizations and as a girls’ basketball and softball coach. Kevin also enjoyed his hunting and fishing trips with his family and extended family and was an enthusiastic spectator at all of his daughters’ events. He did it all while having a successful career and was known for his performance, integrity, calm demeanor, constant smile and humor. Most people have to work, but that doesn’t mean you shouldn’t enjoy it – even look forward to doing it. Kevin showed us that. Can you say yes to all of these questions? Do you like the company that you work for? Do you spend time with the people you love? Do you spend time doing what you enjoy? Does your daily life reflect your priorities? Life events like this remind us to know our priorities and live in a way that reflects them each day. Don’t wish time away or wait for retirement to start enjoying life and the things you love to do. Kevin accomplished a lot in his short 54 years, and his life will continue to impact the lives of the people that knew him. I feel good knowing that Marco made it possible for Kevin to live a balanced life and actively participate in the activities that mattered to him, including a meaningful career. I’m proud of the many awards Marco wins for its commitment to culture and work-life balance. 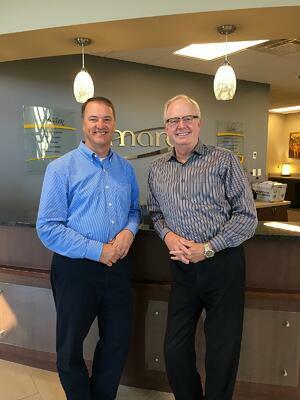 Seeing Marco’s Chief Operating Officer, Jonathan Warrey, be a pallbearer for Kevin was a good example of the many friendships people have developed in our workplace. Kevin’s life reminds us to live intentionally every day, to not let time pass you by and to leave a positive impact that outlasts you – like he did. I would like to share with you a few clips of a video from some of Kevin’s many friends at Marco. We created it as a way to say thank you; unfortunately he never got to see it.